Not necessarily by choice but more so due to Nebraska’s lack of races from December to February, understandably so with the brutal cold and wind, I patiently recovered from the overwhelming race schedule of 2017 and waited for upcoming running events in 2018. Due to the inconsistency and unpredictability of the weather in Nebraska, I ran each day the temperature felt semi-bearable. I decided to commence the new race year on March 10, 2018, with a brief Run for the Gold 10K in Springfield, Nebraska, with Freedom Running Company, with whom I set my half-marathon personal record (PR) last summer. 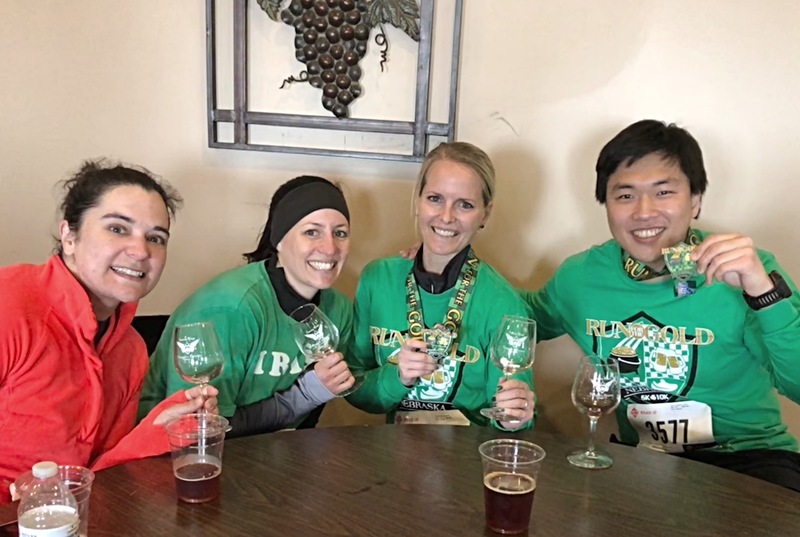 I normally do not race a 10K, and my decision to participate had more to do with getting a breath of fresh air outside Kearney with the generally humble and friendly running community. Running into two familiar faces from a previous race excited me even more. I did have in mind to try to break my 10K PR of 51:44 from two summers ago until I saw the brutally hilly course entirely on gravel. Adrenaline? Cool windy weather? Rolling hills? I do not know, but I kept my first mile mostly in the upper six-minute and lower seven-minute mile, which concerned me slightly because I hardly ever run at that pace. I remained fairly consistent until the final 1.2 miles of mostly steep uphill, where I, and probably every other runner, slowed down drastically. This race did not utilize chip timing; my Garmin reads 54:51.97, so I could guess my race time by subtracting a couple of seconds. I do wonder where I placed, as I came in front of the majority of 10K runners and passed a few 5K runners towards the end, but I simply came here to have fun, which I did.